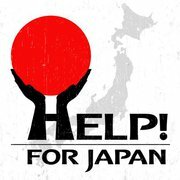 A year ago Japan was struck by a massive earthquake that wiped off entire cities and affected the lives of millions. Several charity projects have been launched after that, but there's still people in need of help, and therefore Tommy Heart of Fair Warning and Soul Doctor fame put together this campaign. Together with several well-known singers and players in the hard rock genre, Tommy has re-worked the Beatles classic "Help!" into a melodic rock ballad. The EP features four different versions of the song, an "all-star" version, one sung by Tommy Heart, a guitar version and an extended version. All versions sound good, but I guess the most interesting one is the "all-star" version with all the singers sharing vocals in true "We Are The World" or "Hear'n Aid" -style. Nice!